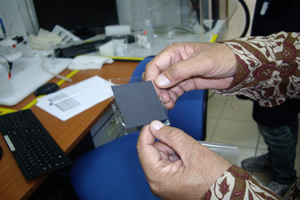 BANGI, 7 May 2012 – A fuel cell prototype car made by the Fuel Cell Research and Fabrication Centre of The National University of Malaysia (UKM) will be ready for delivery to the national car maker Proton by July. It is a fuel cell version of a golf buggy that can carry two people. A fuel cell is a device that converts the chemical energy from a fuel into electricity through a chemical reaction with oxygen or another oxidising agent. Hydrogen is the most common fuel, but hydrocarbons such as natural gas and alcohols like methanol are sometimes used. Director of the Fuel Cell Institute of UKM, Prof Ir Dr Wan Ramli Wan Daud told UKM News Portal that if the fuel cell golf buggy is acceptable, it can then produce a family car version equivalent in power to a 1.3 liter engine by 2014 for the car company. The institute’s team of researchers and fabricators are perfecting the latest version of the fuel cell motors that will have enough power to drive a small saloon car. Further development in the use of the fuel cell would depend on whether the golf buggy can impress Proton enough to undertake more ambitious projects. Fuel cells that will power the golf buggy and saloon car are now in the final stages of testing and are among the advanced prototype fuel cells being researched. Prof Wan Ramli is quite satisfied with the results. He cautioned that that fuel cells are different from batteries in that they require a constant source of fuel and oxygen to run, but they can produce electricity continually for as long as the inputs are supplied unlike an electric powered car which needed to be charged constantly. In the case of the prototype golf buggy, the fuel cell uses a method of polymer exchange membrane (PEM) that produces electric power of up to 6kw of energy. The saloon car version will have a PEM fuel cell that produces up to 50kw of power. 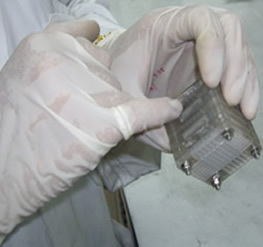 PEM fuel cell is a type of fuel cell being developed for transport applications as well as for stationary fuel cell applications and portable devices. They stand out from other types of fuel cells because of lower temperature/pressure ranges (50 to 100 °C) using the special polymer electrolyte membrane. 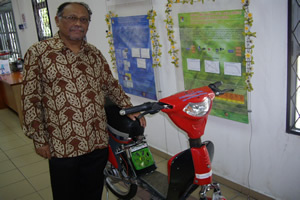 Prof Wan Ramli said a PEM fuel cell transforms the chemical energy liberated during the electrochemical reaction of hydrogen and oxygen to electrical energy, as opposed to the direct combustion of hydrogen and oxygen gases to produce thermal energy. For it to function, the membrane must conduct hydrogen ions or protons but not electrons as this would in effect short circuit the fuel cell. The membrane must also not allow either gas to pass to the other side of the cell, a problem known as gas crossover and must also be resistant to the reducing environment at the cathode as well as the harsh oxidative environment at the anode. Splitting of the hydrogen molecule is relatively easy by using a platinum catalyst. Unfortunately however, splitting the oxygen molecule is more difficult and this causes significant electric losses. 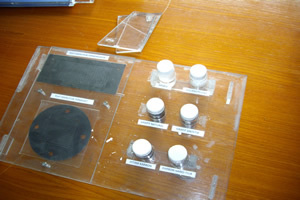 An appropriate catalyst material for this process has not been discovered with platinum being the best option for now. 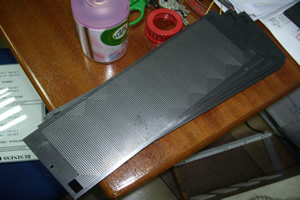 The fuel cell is environment friendly as its only waste product is water. It is also unlike solar power which needed to carry the heavy solar cells or the battery powered electric cars which needed constant long periods of time to charge after every use.